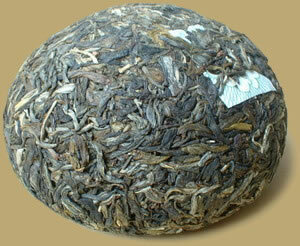 A new product in 2008, high quality raw material has been used to compose this fine Pu-erh Tuocha. The tea is marked by orderly leaf lines and a glossy sheen with fine white tips, it yields a bright yellow liquor with a rich, fresh flavor. This Dayi 08 green Tuocha is an excellent candidate for a great raw Pu-erh.